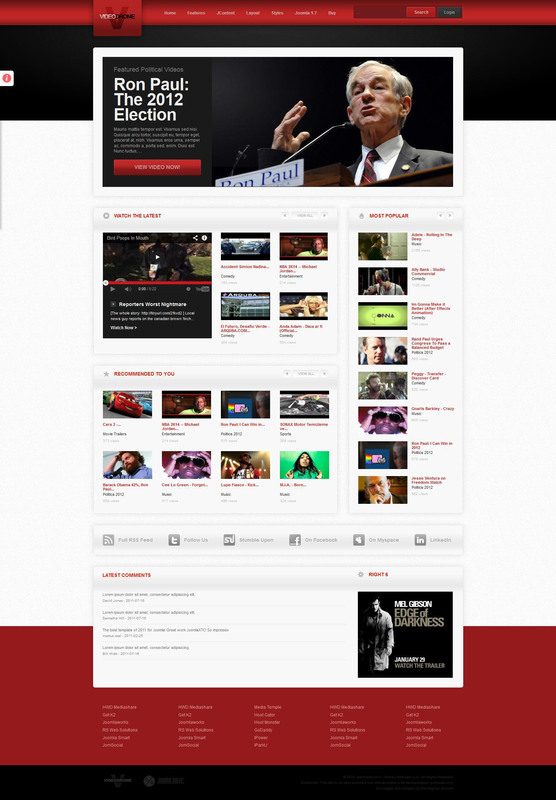 JXTC VideoDrome - this is the perfect template for news portals, video sites, online stores from the studio JoomlaXTC. Uses a special type of video expansion HWDVideoShare to display video in a few streams. The set includes modules that allow users to get unique and creative layouts, news, videos and much more. Also included is a component of the community - JomSocial. The template comes with the new JoomlaXTC XTC Framework system complete control over the template styles, from the width of the columns and to the background color and font size.